By mixing social game and drama, Lifeboat Unit invented the genre of interactive theatrical social game. The piece is about the life of poor families living in small villages in todays’ Hungary. The families can only hope for income via aids, temporary jobs or illegal work – these are the resources our players have to meet ends with somehow. In this reality constructed by the play everyone becomes poor for an hour or two and will feel the excruciating feeling of standing out on their own skin. We use the emotional energy of the game so that the players would get a feel of the frustration of surviving everydays without work, money, or resources. The residents of the village – played by the players – can make decisions. Do they want to work illegally, will they pay the electrical bill, and will they turn to the usury for a loan? If a player gets confronted with what alternatives one can choose from, if one is impoverished, what aid, or family allowance is enough for, they have a chance to choose solidarity instead of intolerance. 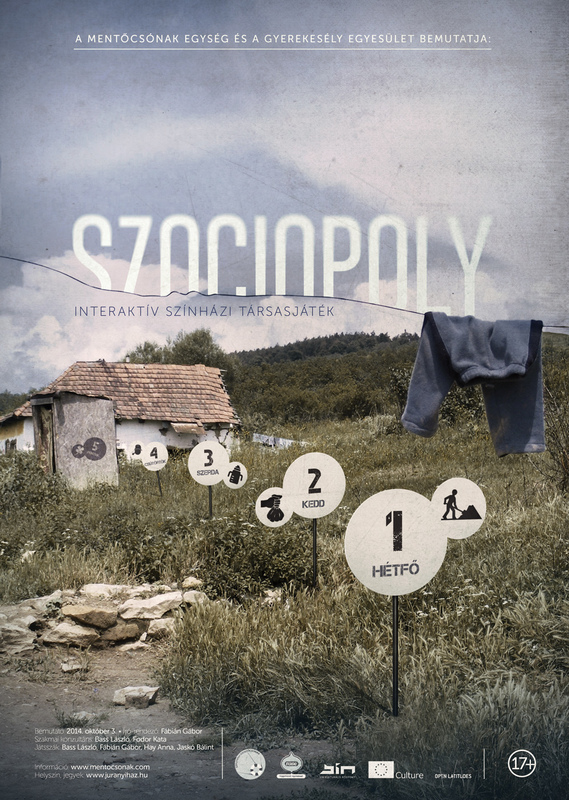 SZOCIOPOLY came to life as a coproduction of Lifeboat Unit, and Chances for Children Association in 2014, with the directing of Gábor Fábián. We also play SZOCIOPOLY for adult audiences, and we also show it to 17-18 year olds in school theatres.